A flash flood warning issued for southeastern San Diego County Tuesday afternoon has expired. The National Weather Service had issued the warning until 5:45 p.m. for the region. 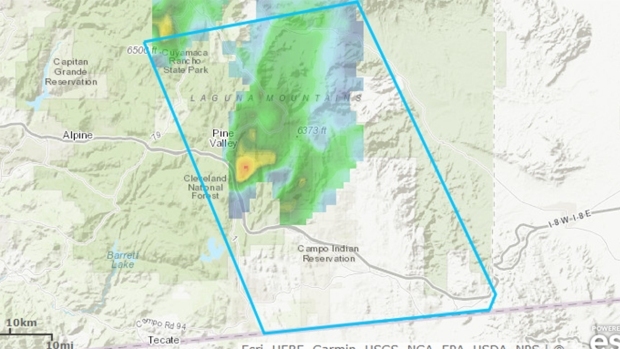 Radar showed thunderstorms producing heavy rain across the Mount Laguna area just before 2 p.m.
Nearly a half an inch of rain was reported in the 15 minutes before the warning was issued at 1:51 p.m. Anyone in those areas was advised to move to higher ground. 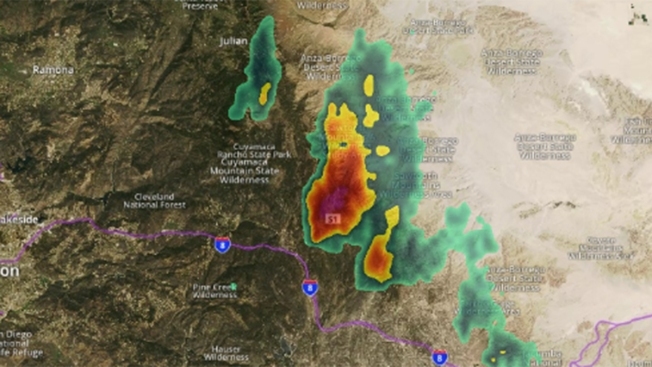 NBC 7's Dagmar Midcap described the thunderstorm as nearly stationary. Stay with NBC 7 for updates. Download the free mobile app and select weather as the start screen.